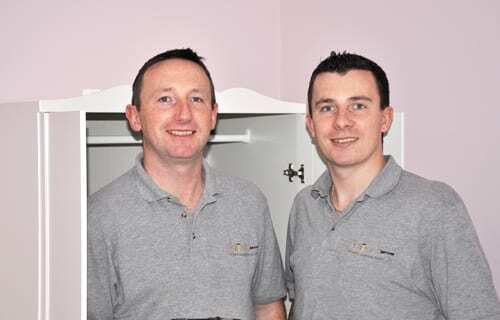 I set up Flatpack Services with my brother Ken in June 2008. We realised that not everyone had the time, expertise or patience to assemble flatpack furniture. With the impending arrival of the largest flatpack retailer in the world, we decided to set up a business to solve this problem. As the business grew and as a result of customer demand, we also introduced a Shop and Delivery service. This means that people can effectively Shop Online. People choose their furniture, send their list to us; and the shopping, delivery and assembly is arranged at a convenient time. We have the experience and know-how to put together the full range of flatpack furniture. We have completed thousands of jobs for hundreds of customers. Around 70% of our work nowadays is from existing customers or direct referrals. We are thankful that our best marketing tool is our customers. We understand our customer’s already busy lives and strive to remove inconvenience, stress and hassle in the quality service we provide. We take great pride in what we do. Customers are only charged when the work is fully complete and they are 100% happy with their new purchase. All our work is guaranteed for the first 12 months and is fully insured. We have completed thousands of jobs for hundreds of satisfied customers. We are experts at what we do. Please feel free to browse through some of the photos here or across the website to see the scope and quality of our work. Some of the furniture was damaged, Flatpack Services returned it to the store and got new stock without any extra charge and completed within a short timeframe. I planned wardrobes on one wall but Jonathan explained how it may be better if they were fitted to the other wall. I was delighted with his advice and it worked really well.